We already covered 5 strategies in previous article here. Other 5 strategies are explained as follows. 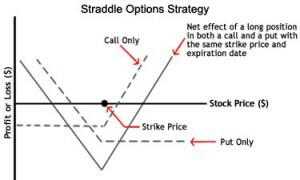 A long straddle options strategy is when an investor purchases both a call and put option with the same strike price, underlying asset and expiration date simultaneously. An investor will often use this strategy when he or she believes the price of the underlying asset will move sigificantly, but is unsure of which direction the move will take. This strategy allows the investor to maintain unlimited gains, while the loss is limited to the cost of both options contracts. 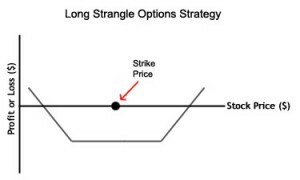 In a long strangle options strategy, the investor purchases a call and put option with the same maturity and underlying asset, but with different strike prices. The put strike price will typically be below the strike price of the call option, and both options will be out of the money. An investor who uses this strategy believes the underlying asset’s price will experience a large movement, but is unsure of which direction the move will take. Losses are limited to the costs of both options; strangles will typically be less expensive than straddles because the options are purchased out of the money. All the strategies up to this point have required a combination of two different positions or contracts. 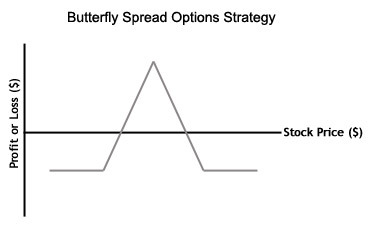 In a butterfly spread options strategy, an investor will combine both a bull spread strategy and a bear spread strategy, and use three different strike prices. For example, one type of butterfly spread involves purchasing one call (put) option at the lowest (highest) strike price, while selling two call (put) options at a higher (lower) strike price, and then one last call (put) option at an even higher (lower) strike price. 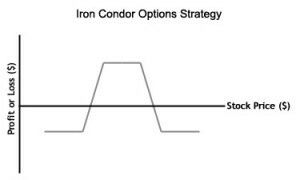 An even more interesting strategy is the iron condor. In this strategy, the investor simultaneously holds a long and short position in two different strangle strategies. The iron condor is a fairly complex strategy that definitely requires time to learn, and practice to master. 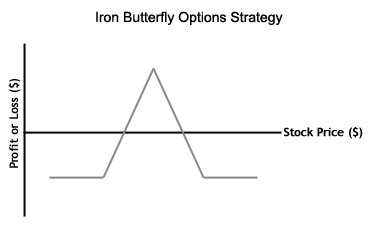 The final options strategy we will demonstrate here is the iron butterfly. In this strategy, an investor will combine either a long or short straddle with the simultaneous purchase or sale of a strangle. 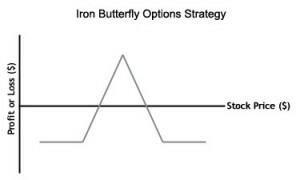 Although similar to a butterfly spread, this strategy differs because it uses both calls and puts, as opposed to one or the other. Profit and loss are both limited within a specific range, depending on the strike prices of the options used. Investors will often use out-of-the-money options in an effort to cut costs while limiting risk.